Y Beudy Bach is cosy, yet surprisingly up-to-date. 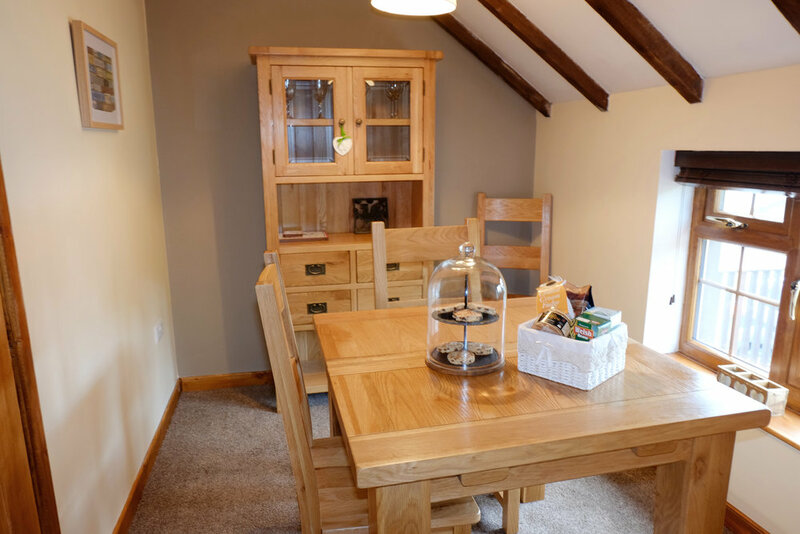 Our country cottage remains true to traditional themes whilst providing the full range of modern comforts to ensure that you can relax on your stay with us. The unique layout of the central living room and adjacent kitchen results in the perfect balance of a spacious interior without losing the cosy environment that you would expect with a 300 year old Welsh cottage. Up to four people can make use of our fully equipped kitchen, complete with oven, microwave, fridge and freezer. We even have a dedicated dining room. Go on... put your feet up! Our private outdoor seating area with adjacent hot tub is an ideal location to unwind with a glass of wine. Private hot tub situated on lower deck.